I LOVE this record. 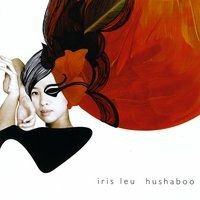 I reviewed Iris Leu’s previous release, [Permanent Transient] in 2007. I liked it very much, but I don’t recall being this blown away. I do remember thinking she reminded me of Tara MacLean and even Sarah McLachlan at times, which is a very nice thing indeed. It was an EP at only 5 songs, so new music from her was highly anticipated. I’m happy to report that I am in no way disappointed. In fact, I may go as far as to say I’m downright giddy. Her voice is as beautiful as ever. Her songwriting, while I’d say it’s improved some, is still very much in the vein of the above mentioned ladies. Piano based, slightly ethereal, layered, lush, and gorgeous. So far I like all the songs. She’s also inspiring me to host concerts again and decorate the space/stage area with lots of flowy drapes/curtains, and tall candelabras. This is a really beautiful album. I want to give it more time. I wish I wasn’t so behind on reviews. But I’m thinking this is an early favorite!